Faux leather material sewn onto polyester ribbon. 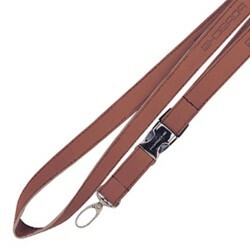 Faux leather lanyard material sewn onto polyester ribbon. Your choice of attachments. Minimum order 300 units.